Juan Espinosa is a software tester who plays VR for fun and fitness. After receiving an Oculus Rift as a gift from his wife, Juan entered the Rift and has been using it ever since. Even with an old knee injury, he uses VR as a low impact exercise that has helped him lose weight and become more active overall. Keep reading to learn more about Juan’s fitness journey with virtual reality. VRFI: In one year of owning an Oculus and playing games in VR, you lost 15 pounds! That’s great! Did you start off with a weight loss strategy or a goal in mind? JE: I actually did not. The Oculus Rift was something I had always wanted to get just to play games with it. I remember watching videos on Rec Room, The Climb, and Superhot and just dying to buy one. My wife purchased the Rift for me as a gift around February of 2017. It wasn’t until about late January of this year that I decided to use it for fitness. At that point, it really became a lifestyle change. My goal was to lose weight. When I first started out, I weighed about 190 pounds and my goal weight was 170 pounds. At first, I began jogging and that didn’t work out for me that well because of my injured knee. So I found out about BoxVR and decided to take a shot. I saw immediate success and just went full force into it. At the minimum, I would work out 30 minutes a day in VR. The other key factor I have to throw in there is that a healthy eating plan is a must. The biggest life change I made was what I was putting into my body and it shows in the progress I’ve made so far. At the time of this writing, I weigh 172 pounds. Almost there! VRFI: We’re rooting for you! VRFI: You mentioned that you play BoxVR, which other VR games did you use that helped with your weight loss? JE: The two main games that helped me out were BoxVR and Knockout League. They both showed the most exercise success and in the same vein were very fun to play as well. I toyed around with Thrill Of The Fight, but I wasn’t very good at it, I just kept getting knocked around and it was pretty frustrating. I definitely want to give it another shot with how much I’ve played BoxVR and Knockout. VRFI: You mentioned to us that you had a knee injury due to a fall as a kid. Does having knee pain get in the way of playing games like Box VR and Thrill of the Fight? If so, how did you overcome it? JE: At first, it definitely got in the way. The issue was how I would put my stance when playing these games. Whenever BoxVR would tell me to do a “Right Stance” my left leg took all of the weight. The first few times the pain was pretty bad, but after a while of the squats these games make you do and adjusting my stance. It pretty much went away. VRFI: Are there any low impact leg games in VR that you like to play? JE: If by low impact you mean seated games? Absolutely. Elite Dangerous is one of my favorite time-sinks. I can sit there for hours flying through space and just admire everything. I also like playing horror games as well (not that I can ever complete them). VRFI: Do you workout outside of VR like with weight lifting, resistance training, etc.? JE: I have started incorporating weight lifting into my work out regimen and am losing weight at a rate that I couldn’t have imagined could happen. So now I eat a bit more and do targeted workouts 4 days a week. VRFI: What do your workouts look like? JE: So an example of a daily workout for Monday would be something like 30 minutes of high-intensity VR and then chest and shoulder workouts, 6 strength exercises, 3 sets each. VRFI: Sweating is a given in exercise and VR. What’s your sweat solution? JE: VR Cover or at least a headband. It’s become a lifesaver for the facial interface. When I first worked out using the Rift, it was SOAKED. The cover I ordered certainly fixed that right up. Another thing I used to use, was a bandana or a beanie. That works great as well. Also, make sure you have a fan in the room or the AC running at the very least. Your room can turn into a sauna real quick if you’re pushing yourself enough in the games. VRFI: Many people buy fitness equipment and use it as a coat rack or laundry hanger. What made VR more effective for exercise and what kept you coming back for more? JE: When we had our treadmill still, I would put on a TV show and jog while watching it. But it just got so tedious. I was constantly checking the time to see how much was left of the show or just getting distracted by a million other things. VR was more effective because it’s utterly interactive. When you are jogging on a treadmill it’s just the same thing for the next 30 minutes. But in VR you have a task and on top of that you have the instant gratification of a success or failure, so when you knock out a fighter or you pass a workout, you want to do it again. Not because of how great it is at cardio, but because you WON. So why stop? VRFI: Was playing on PC easy to do with VR or was there a learning curve? JE: There was definitely a learning curve for me and might be for you if you don’t have a large space. When I first started playing, I would always slightly move forward or move to the side without realizing it. After a few minutes, you would be meeting up with your wall, or an object in your room. I know that the Vive and Rift have the boundaries you can set up, which is great and works, but it’s not gonna stop you from losing balance or hitting something every now and then. Once I was able to have environmental awareness and learn to stay planted it made it very easy to try out any other VR titles without a concern for stepping too far out. 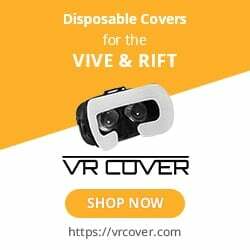 VRFI: Which active VR titles would you recommend to our readers who are just starting out in VR? JE: BoxVR gives you the lowdown on VR itself basically. Stand here, punch this, and dodge this. It gives you a clear picture of what the movement can be like in games, and makes you comfortable within the virtual environments. It helps you figure out what a real punch should be and how you can execute them. It’s kinda like the tutorials that the headsets offer, but on a more exciting level. The key thing here is that it’s not very nauseating, so its very welcoming. VRFI: Are there any VR games that aren’t sports or exercise related but do a great job of elevating the heart rate? Though the one that I’d recommend 100%, especially if you have the room scale space for it is GORN. It starts you off nice and slow and then just kind of throws you to the wolves. Each weapon has a different use style, and there is a decent amount of variety in the bad guys, so it’s always different and super tiring. VRFI: What VR games and innovations are you the most excited about right now or for the future? JE: Trackers that you can place on things. I know HTC has them out already, but for the developers to make more use of it. Imagine a workout game where it could track your leg placement, or on your chest for an ab workout. Game wise, I had seen a video from the channel “Node” on YouTube, that was talking about a tech demo they have for their new engine, I believe. IT shows so much promise in interaction in a game. I honestly just can’t wait to see what people will come up with in this field.